The history of Mexican Recipes and food started with the natives. Then the Spaniards introduced spices and foods. Europe, India and even China also contribute and influence the Mexican dishes. 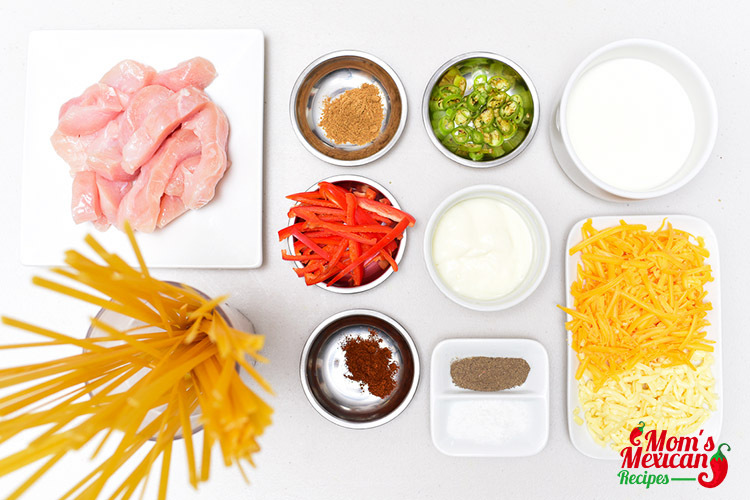 The Mexican cuisine consists of a variety of herbs and spices that provide the distinct flavors and aromas in the cuisine. Its flavors and seasoning are amazing and good for any type of dish. Mexican cooking is all about freshness and spiciness. And chilies or chili peppers are common ingredients and making the Mexican dishes more sizzling and fiery. Slice chicken into small bites. Add chicken slices and immediately add half of cumin, half of chili powder and half the amount of salt. Cook for several minutes on high heat, constantly turning, until the chicken is completely cooked through. Remove the chicken from the skillet. 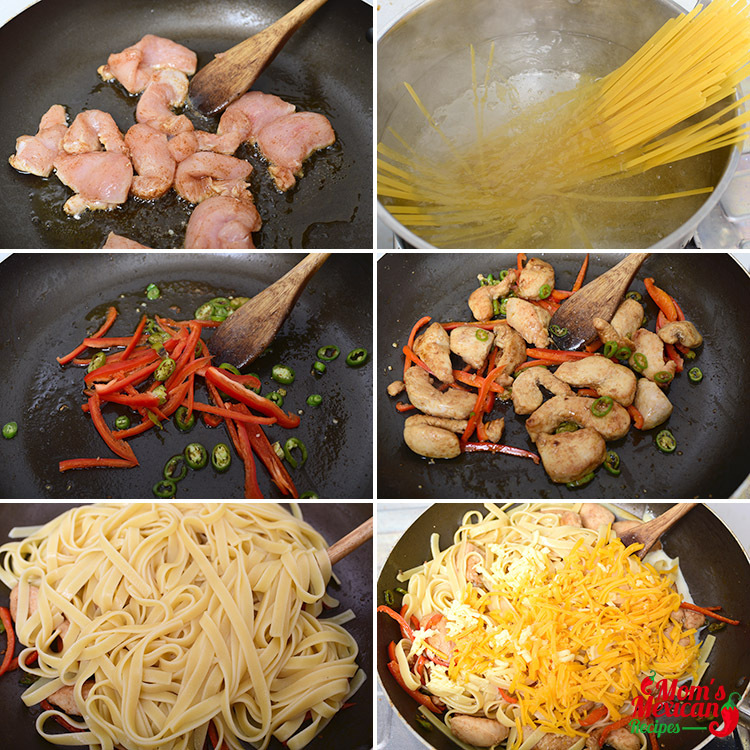 Add cooked and drained pasta to the skillet with the chicken and vegetables. Add heavy cream and milk, bring to boil. Immediately add cheese (cheddar and mozzarella) and mix until the cheese is melted and the sauce is smooth. Reduce heat to simmer. Add the remaining half of the spices, and mix to combine. Adjust seasonings, and add more salt, cumin, and chili powder, if needed. The most enjoyable occasions in our lives frequently revolve around eating. Birthdays, anniversaries and reunions demand food that complements the occasion and conjures happy memories for years to come. When you cook at home, you can start with a skillet, and there’s no limit to what you can cook on top of the range. With the easiest, fastest, most versatile pan in the kitchen, you can whip up a huge variety of tasty meals. Cooking for a family sometimes very complicating. When you decide to cook Pasta, one family like Italian while one family like Mexican Pasta. 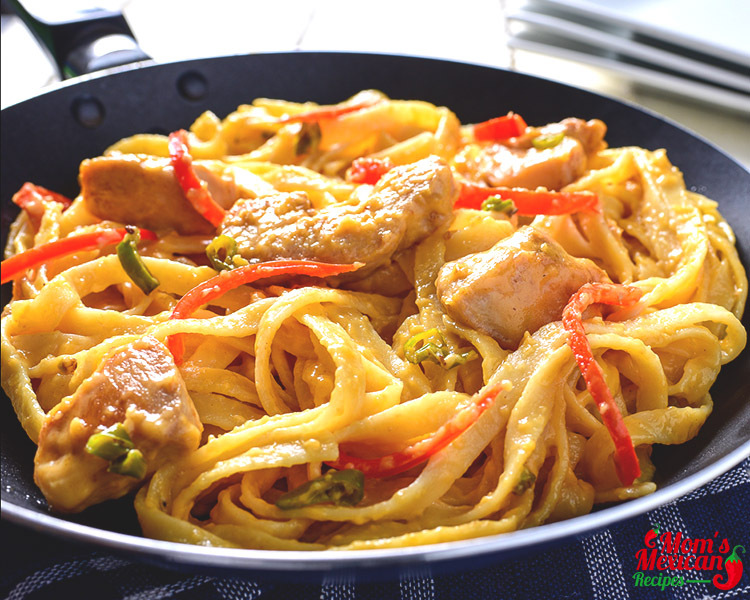 Traditionally we always cook Italian pasta. But my kids want some hot and spicy pasta. 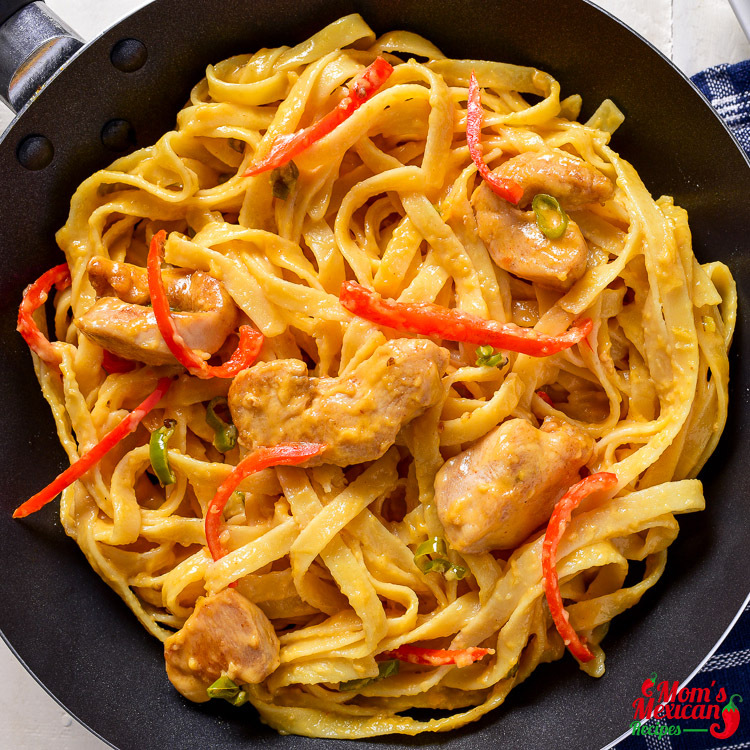 Pasta is a simple and delicious family meal favorite. It is generally used to describe traditional Italian noodles. It is also a healthy food with a low calorie and with heart beneficial dish. As my kids request they want pasta but hot and spicy. So we decided to cook Mexican Chicken Pasta. The flavors of Mexican-style cuisine are blended in this simple dish. This mouthwatering Mexican meal is also fabulous and perfect for a quick and hectic weeknight dinner when there is no time to cook more than 30 minutes. 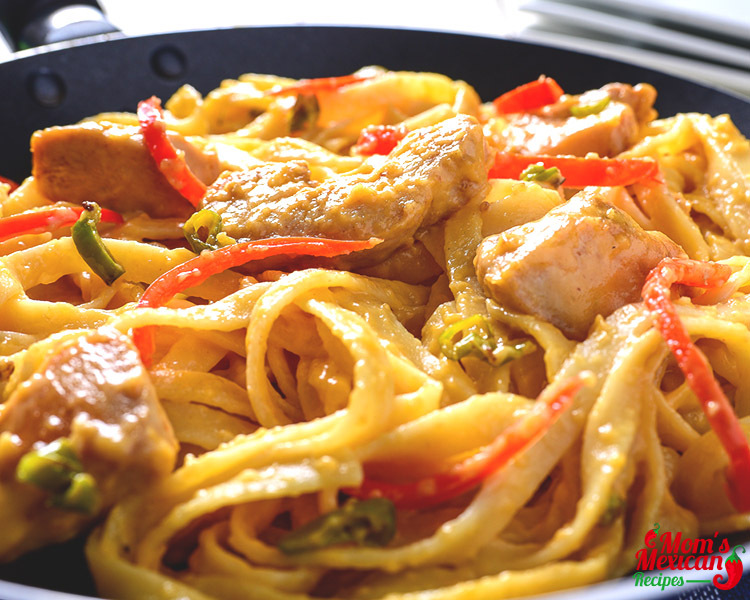 The main ingredients for this dish include slice cooked chicken, bell peppers, green chilies, creamy sauce, and spices. It can be served hot and garnish with cilantro. I made this a few nights ago and it was a bit hit. The flavors were perfect and it really satisfied the Mexican craving I was having. I didn’t notice until after the fact that the pictures in the recipe use fresh green chiles. I used a can of them from the Mexican aisle of the grocery store. I also wasn’t paying attention to how much I put in and wound up adding the whole 4oz can instead of the 2oz that the recipe calls for. This added a considerable amount of liquid to the dish and the end result was on the soupy side. I did not see this as a problem. After I finished eating, I mopped up the extra sauce with some bread and it was delicious! Hi Joseph – Glad you liked it!